Time for another installment of Low Carb Cooking Class! Today’s lesson is for people who claim they don’t like vegetables. Let’s get one thing out of the way: despite what has been pounded into your head for pretty much your entire life, vegetables are not actually required in the human diet. They’re just not. I’m sure that is quite shocking to some of you. (What about fiber?! What about feeding your gut bacteria? What about the phytochemicals?! Don’t we need quercetin, resveratrol, curcumin, sulphorophane, and other goodies we get from plants? Well, sure, they might be helpful in certain circumstances, but required? Nope.) 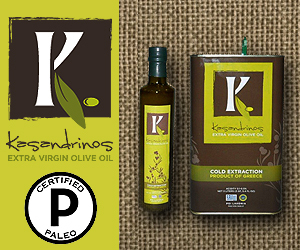 There are no essential nutrients—none—that you get from plant foods that you can’t get from animal products. You can, indeed, live on a “zero carb” or animal-only diet. (Kind of like the opposite of veganism.) You don't even need the fiber. In fact, lots of people with IBS and other issues related to impaired digestion of plant material seem to do better on diets low in indigestible fiber. I’m not saying I recommend a zero-carb diet; only that it is, technically, possible. 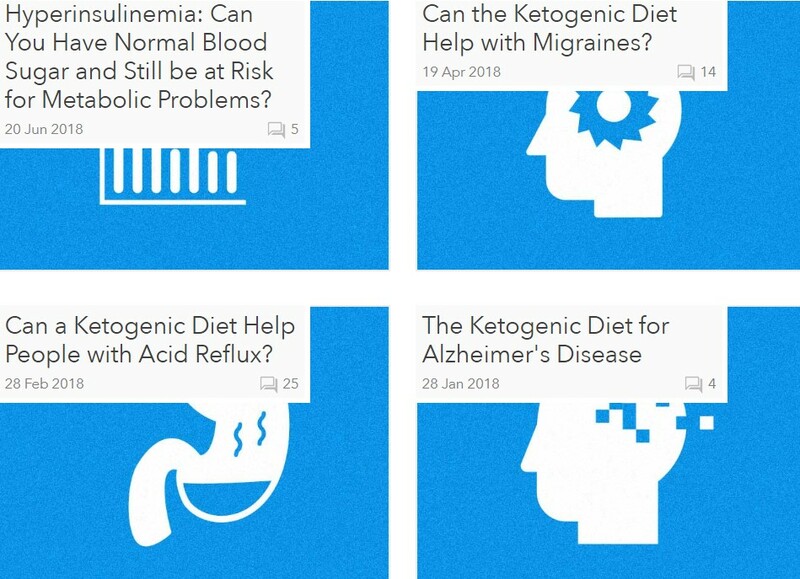 (And not only is it possible, but many people are absolutely thriving on this way of eating, when just about everything else—including regular ol’ low carb and ketogenic diets—did not give them the results they were looking for.) 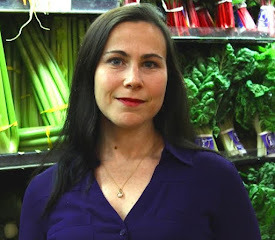 According to the Food and Nutrition Board of the Institute of Medicine of the U.S. National Academy of Sciences, “The lower limit of dietary carbohydrate compatible with life apparently is zero, provided that adequate amounts of protein and fat are consumed.” And since fiber is a carbohydrate, zero dietary carbohydrate means zero dietary fiber. But again, I’m not saying a zero carb diet is recommended or optimal; I’m simply noting that you don’t need to force down copious amounts of indigestible plant material if you really, really don't like it. But for those of you out there who do want to include vegetables in your diet, but maybe aren’t the biggest fan of them, why is this? My guess would be that you grew up in a home where your only exposure to vegetables was via frozen or canned vegetables heated up in a microwave, or fresh vegetables boiled beyond all recognition, with flavor and texture both rendered completely unappetizing. If you don’t like vegetables because you’re accustomed to being served veg that are mushy, soggy, bland, and just plain lifeless, that ends now! Yes! I have converted more than one veggie hater into a veggie lover by serving them roasted vegetables. 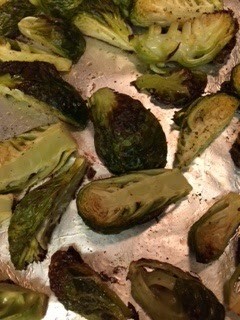 I have a good friend who had never liked brussels sprouts until he tried them roasted. This technique is dynamite. It transforms pretty much any and all vegetables into bits of extreme deliciousness. Preheat your oven to 425°F/220°C. Chop the vegetables into similar-sized pieces, toss with olive or avocado oil (melted bacon fat or ghee might be even tastier), and season liberally with salt and freshly ground pepper. 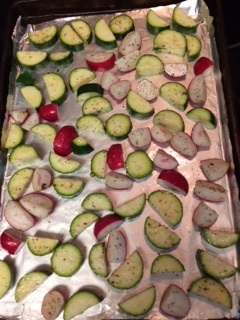 (To save washing an extra bowl, you can lay the vegetables out on a baking sheet and do the seasoning right there. For even faster cleanup, line the baking sheet with aluminum foil – your cleanup will consist of “remove foil from pan, roll up in ball, throw away.” You won’t even have to wash the baking tray. Score! [Am I concerned about aluminum foil touching my food? No. 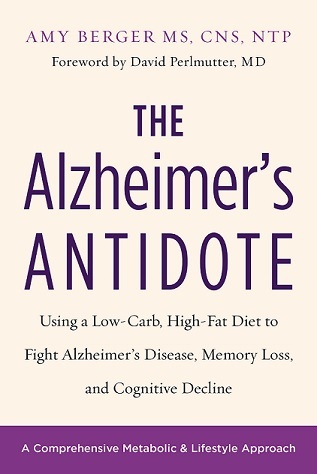 I wrote a book about Alzheimer’s disease, and I don’t think aluminum has anything to do with it.]) Spread the vegetables out in a single layer. A little overlap here and there is fine, but if you leave them in a big pile, they’ll steam, rather than roast, so give them room to do their thing. 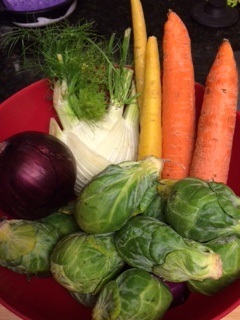 Roast for anywhere from 10-25 minutes, depending on how well done you like your veg and how large the pieces are. What happens is, the outsides start to get brown and, in some cases, crispy, while the insides gets soft and tender. 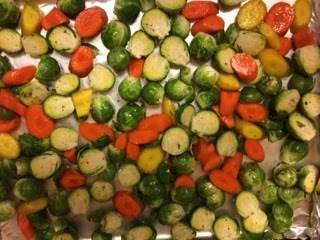 The list of vegetables that become amazingly delicious when cooked this way includes: brussels sprouts, broccoli, cauliflower, fennel, radishes, asparagus, zucchini, yellow squash, eggplant, green beans, carrots, beets, bell peppers, and onions—red, yellow, white—all of ‘em! Roasting vegetables this way brings out their natural sweetness. What, you didn’t know broccoli had some sweetness to it? Or fennel? They do. Roasted vegetables are pretty much the easiest side dish ever, except for eating vegetables raw. They require nothing more than salt, pepper, oil, and a baking tray. No, seriously. This is the king of all side dishes. 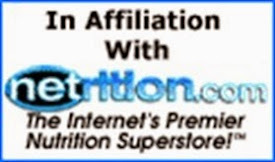 It works with meat loaf, steak, roast chicken, canned tuna, salmon, or sardines, pork chops, grilled or baked fish, and even cold cuts or hard boiled eggs if you’re really in a pinch for animal protein. There’s basically nothing you can’t serve these with. They’re great hot, cold, or room temperature, so they’re perfect for making a large batch to ensure you have a bunch of leftovers. To use the leftovers, eat them as-is, or use them in a frittata or chop them into smaller pieces to use in egg muffins. Here are some pictures of this in action. Everything looks very plain, but looks can be deceiving. 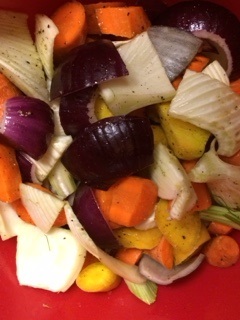 I assure you, with the right seasoning -- really, just salt & pepper -- roasted vegetables are wickedly delicious. As always, please excuse my lack of photography skills. Indeed the roasting brings out the sweetness. In fact I don't like my butternut squash (that I grow in large amounts) roasted because it ends up too sweet (though that's great for a dessert dish; roasted with some cinnamon and served with some cream and roasted almonds; yummy). So I prefer it steamed. But that's a matter of taste, of course. with flavor and texture both rendered completely unappetizing. If you don’t like vegetables because you’re accustomed to being served veg that are mushy, soggy, bland, and just plain lifeless, that ends now!